I like to make things A LOT, in fact I like the making part SO much that I hate finishing things and slow down to a tortoise pace when the end of the project is nigh. This is why I don’t always zoom through projects, rather I like to get to know the thing I’m making, get attached and take my time. The idea of parting with it because it’s done can sometimes be a little off-putting, not because I will miss the thing, but because I will miss making it. I won’t make that thing ever again. That thing is done. Sob. It’s okay though. I will rebound into another project before you know it. I’ll toughen up and face the next crafty challenge the best I can. Gulp. 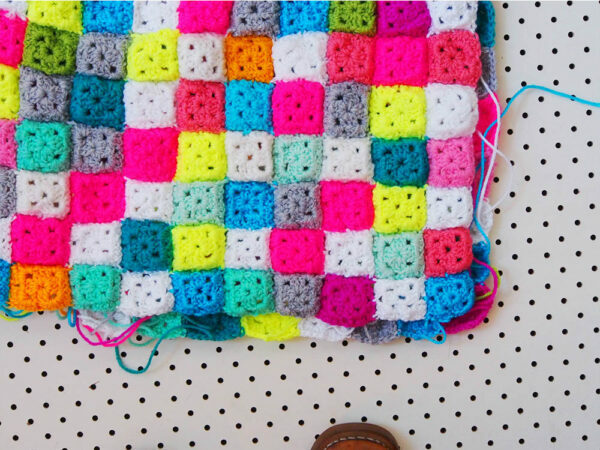 This is the granny square blanket – I zoomed through this and then put it away because I am not QUITE ready to hand it over. HOW SELFISH. LOL. I am going to finish it this week. I swear. It’s so close to being done it’s not funny. I am working through this each day and loving all the colours popping out at me. This is sort of half done, but I only started it on Mother’s Day so expect some serious slowing down coming up as I near its end. Okay. I admit that I’m going really slowly with this. Mostly it’s because I am wanting it to be a Winter-long project and we aren’t even at Winter yet. On one side the squares sit with they ridged edges up against each other, poking out. On the other side, the squares pop up like little puffs. It’s pretty satisfying to watch it all coming together. Stay warm, peaches! Chat soon! You know when things are so beautiful that it just makes you that little bit mad? Like, I just want to be surrounded by it ALL THE TIME! That’s a bit how I feel about all the things on your blog-and I’m loving the current colour scheme of brights and fluroes and such. 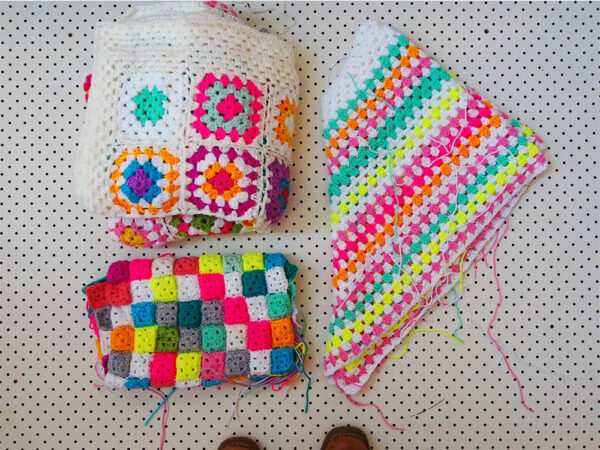 I have one question-what method are you using to join your Tiny Square blanket? It’s just lovely! That tiny square blanket is amazing! Well, they all are really! I love your use of colour. I think this is the winter I am finally going to learn to crochet! Thanks for the inspiration! It just occurred to me whilst reading this that I dread the end of projects too, but it’s because I dislike STARTING a new project. Not the beginning itself but the pre-bit with all the agonising decision making! So I have lots of different big projects on the go, including a hexa-puffs knitted blanket that looks not too dissimilar to your small puff squares (140 puffs down, aiming for 400). 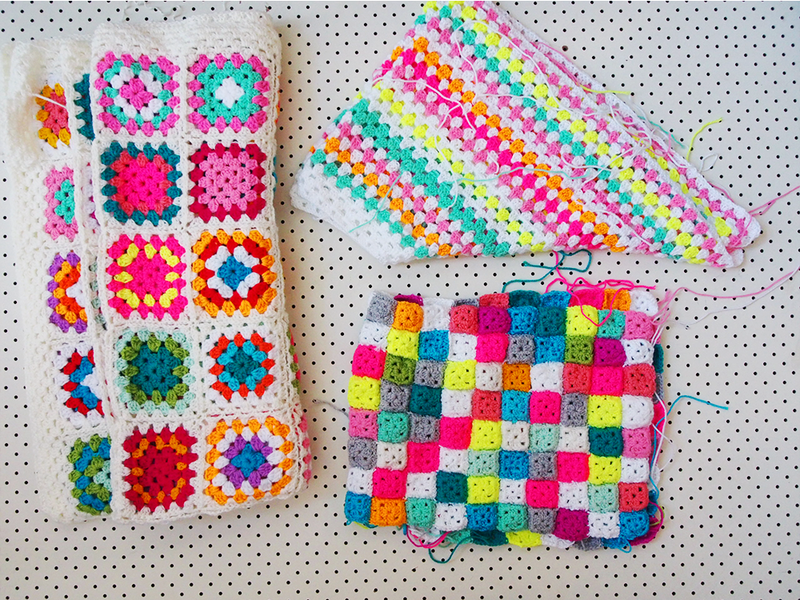 Ooh Pip, love these UFOs…especially the tiny squares pop-up blanket. Do you have a pattern or link for it please? I also have lots of things on the go at once. 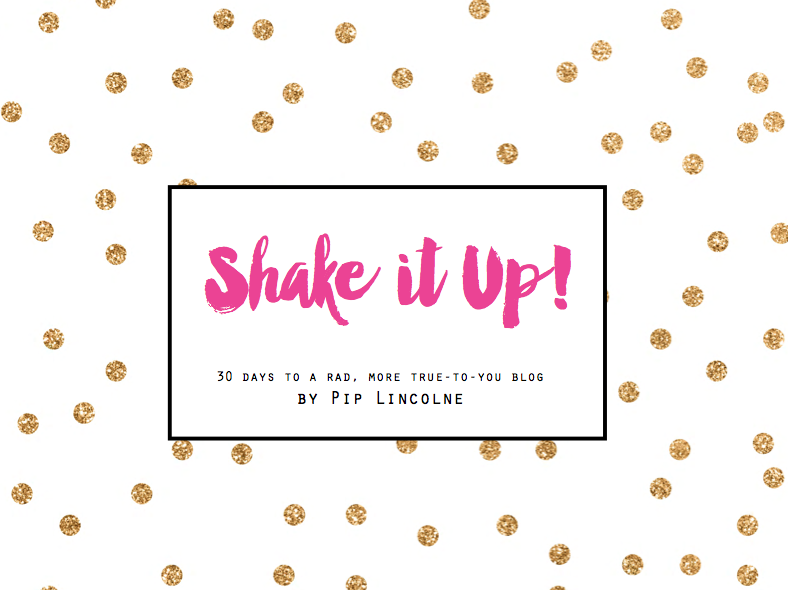 I like to do certain things at certain times so handy to pick and choose – like straightforward non-complicated automatic things when I’m tired in the evenings, then more get-your-teeth-into-things for a challenge. Know exactly what you mean about finishing things – often hard unless I have something lined up to get cracking on straight away. 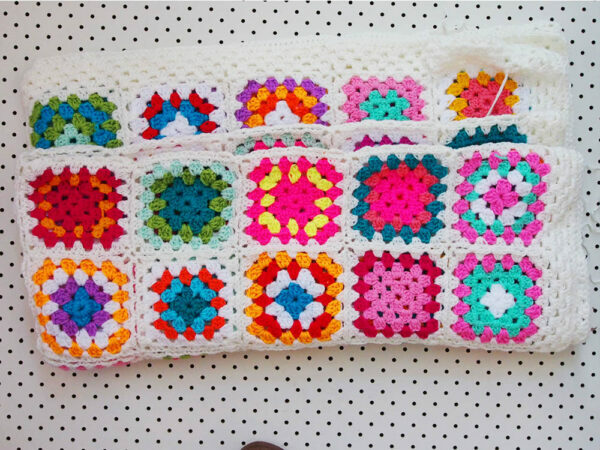 I’ve told you this before, but I love seeing your blankets grow on fb and Instagram! It’s seriously so NICE. I wish I could get through things like you do. I used to crochet and craft a lot, but a full time job took over. That’s why I cook so much, instant gratification! Defah’s blanket is GLORIOUS. I love it so much. 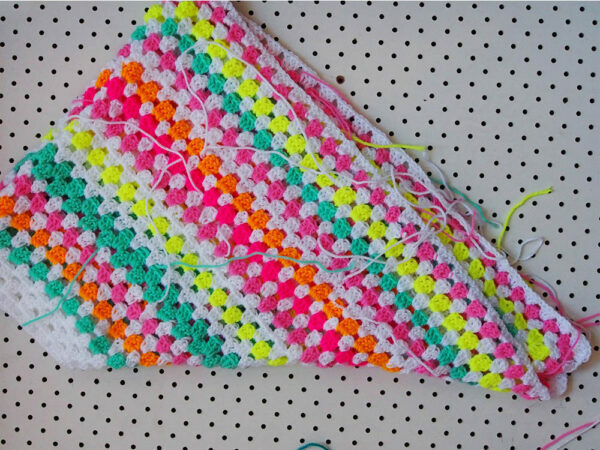 I followed along as you made the squares on Instagram and now seeing it all put together, it just looks fab! Have you ever done a tutorial on putting the squarest together? I’m up to that bit and it’s a bit daunting. Yep! I hear you! I have LOTS of unfinished projects and a list longer than a piece of yarn of yet-to-be-started projects! I must admit though – I do love that feeling of satisfaction of completing a project. I also have loads of projects on the go. The trouble is I want to make so many things. I’ve got a giant cross stitch which will take me years to finish,I’m half way through a crochet shrug and I have various upcycling furniture projects on the go. Plus the hundreds of projects in my head. It is very satisfying though when you do complete a project.